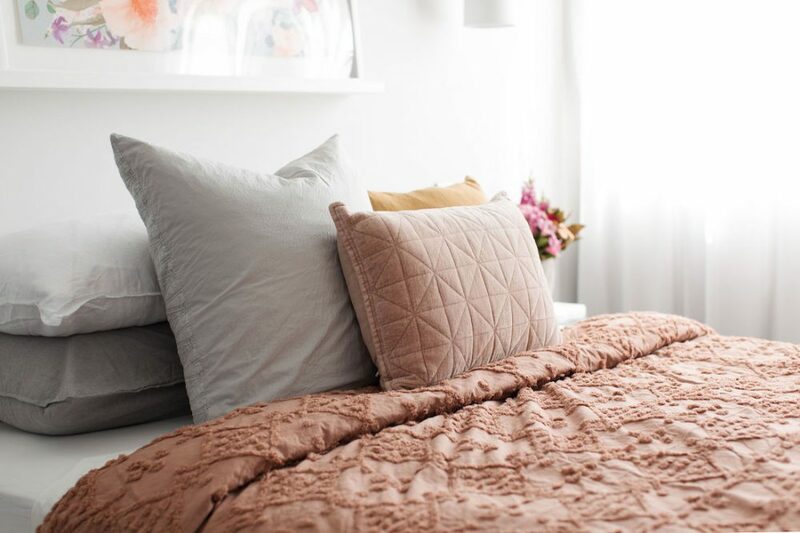 You don’t have to buy all new furniture to totally change the look of your bedroom. 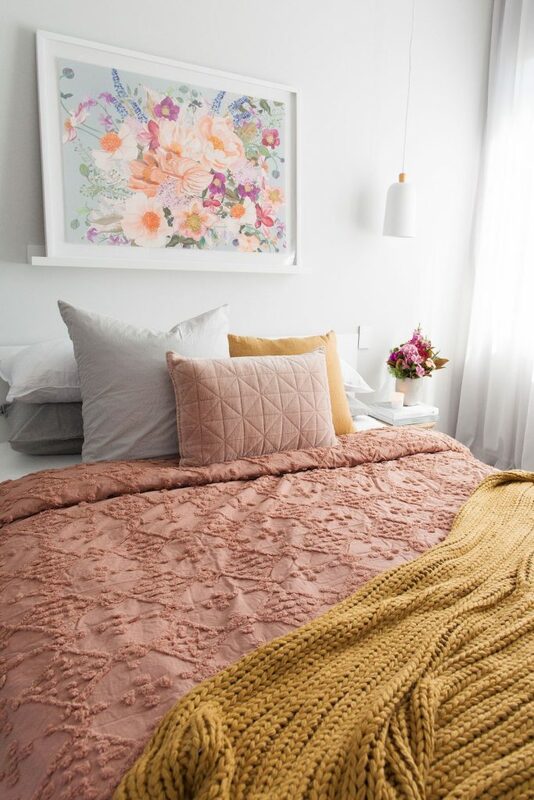 Today, I’m sharing two completely different bedroom looks I achieved by mixing up the bedding, décor and art. 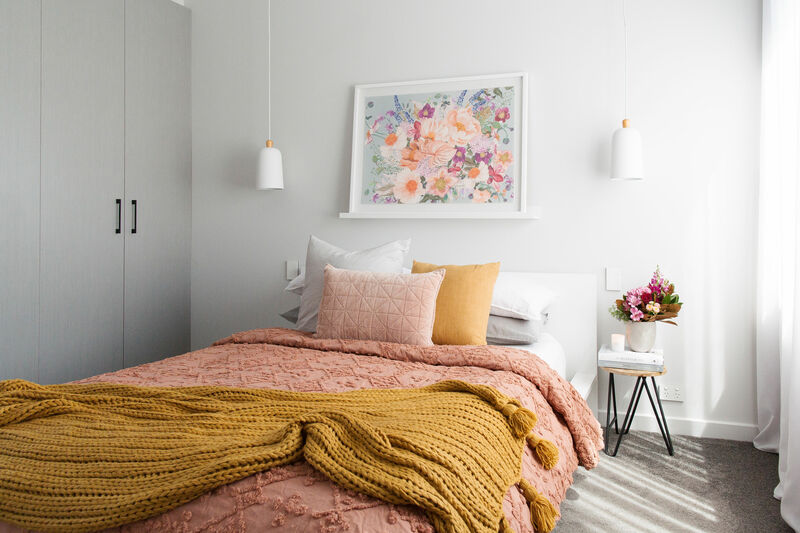 Watch the short video or keep reading for my tips to achieve a coastal and autumn-inspired bedroom. The coastal style is defined by a light and airy base, brought to life with texture and accents of blue or green inspired by the ocean. 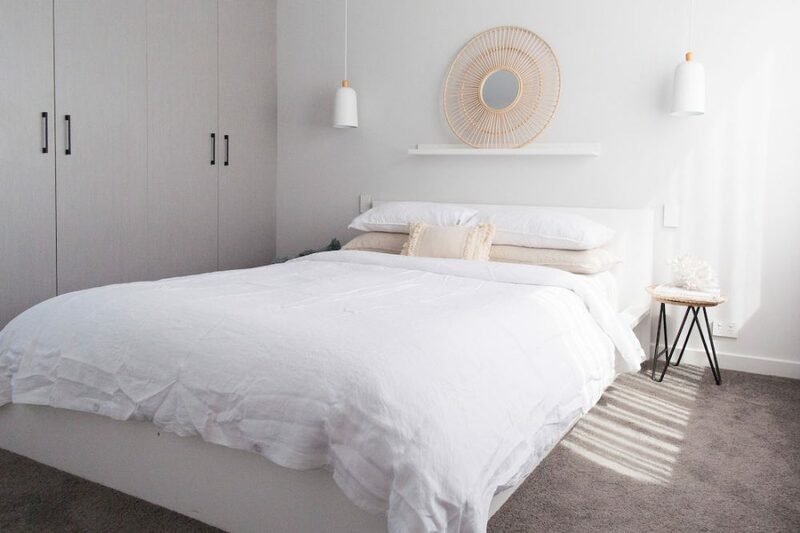 Given the relaxed vibe of coastal interiors, I kept styling to a minimum – the bed features a vintage washed quilt set from Adairs and one textured feature cushion. 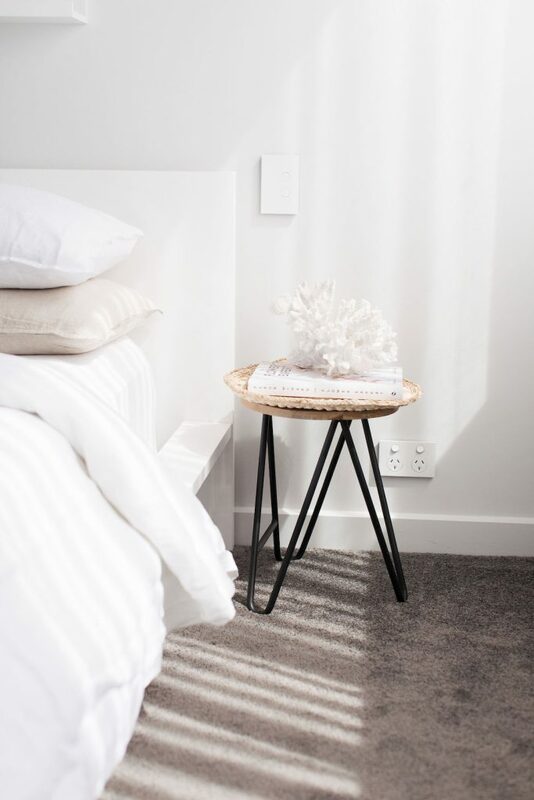 As we head into the cooler months, you could add a coverlet or throw at the foot of the bed in a neutral or accent colour. 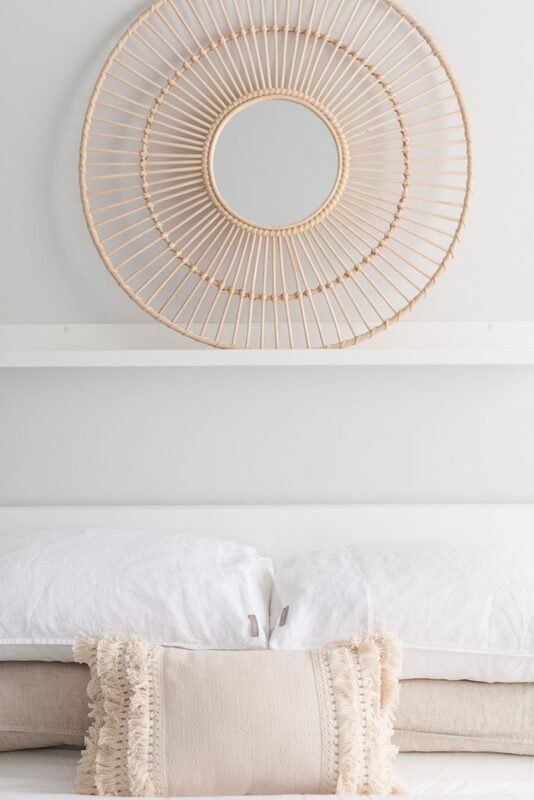 Above the bed, I just love that cane mirror which is like art for the space. 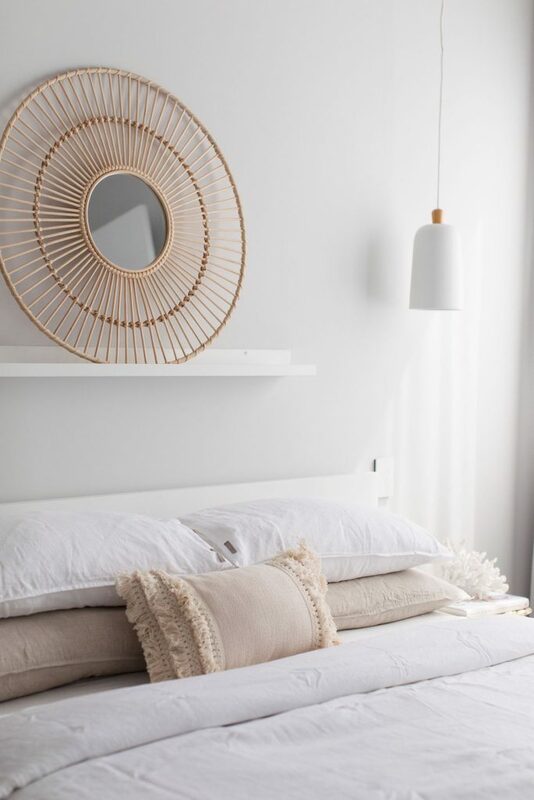 Mirrors are great for making smaller rooms appear larger or bouncing light around, helping to brighten a space. 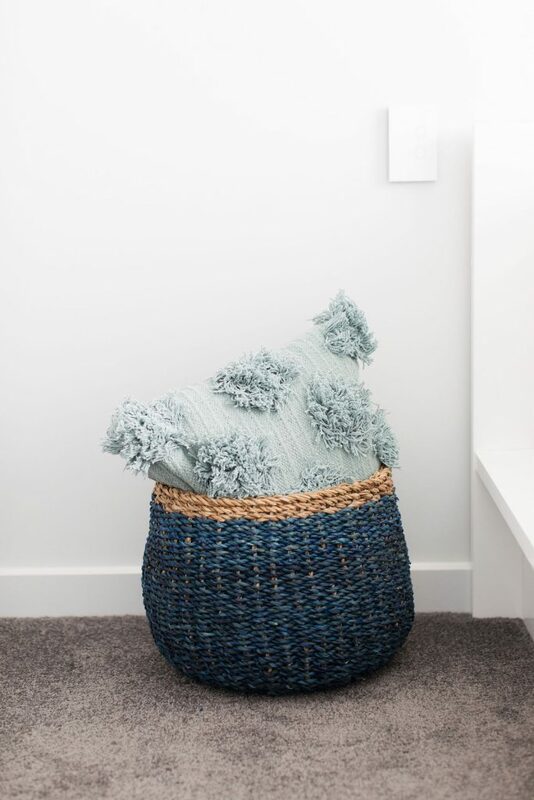 The blue basket with textured cushion is another way of incorporating natural elements and those ocean colours into the look. Tasteful coastal décor, like this faux coral from TK Maxx, finishes the space. 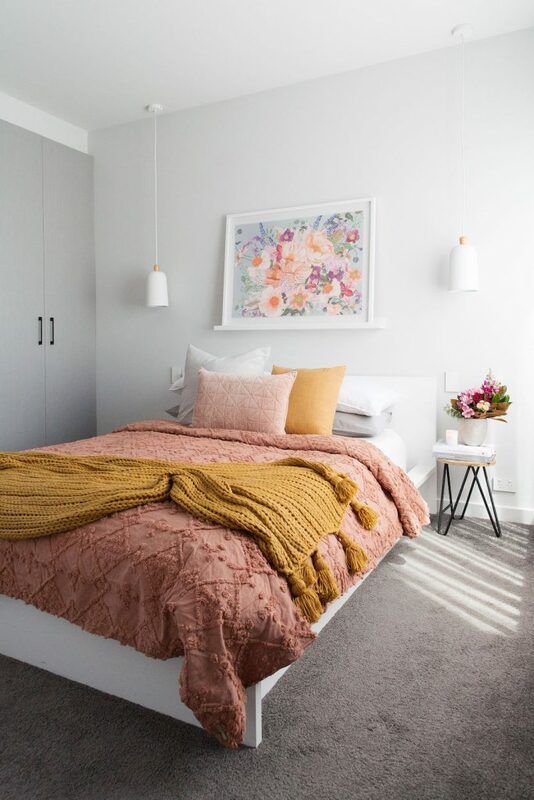 Other ideas to achieve a coastal style bedroom could be using an ocean scene artwork, cane pendant lights (for example there are some great choices at Freedom), and a jute or knotted rug. This second look is inspired by Autumn with rust and mustard tones. The starting point for this bedroom was that stunning floral artwork from Adairs. I loved the colour palette and softness of the piece without being too sweet. It also features this year’s Colour of the Year ‘living coral’. As Autumn is often associated with heavier tones, I pulled out the darkest colour from the artwork for the quilt cover and paired it with a complementary mustard tone. Accents of white and grey help to temper the richer colours. I used three feature cushions on this bed – playing with a mix of shapes, sizes and materials. There is a large cotton Euro, a square mustard cushion in raw cotton, and a rectangular textured velvet cushion in front. 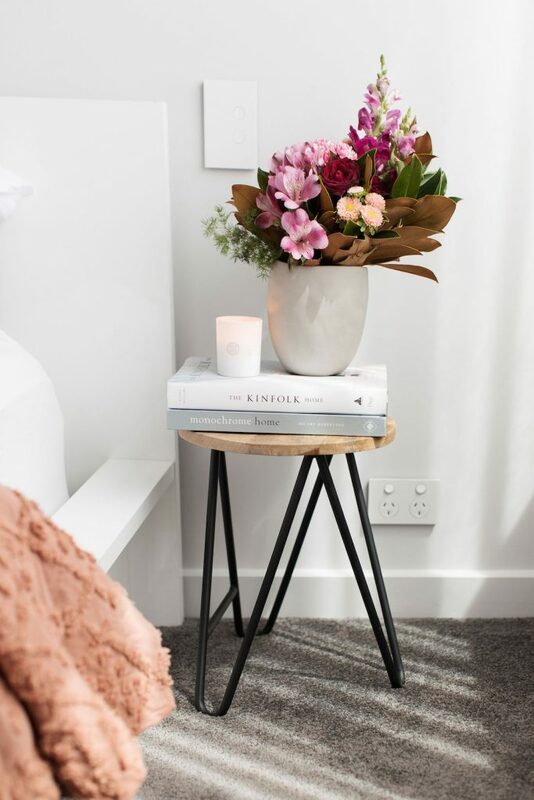 A posy of flowers on the bedside add to the romantic vibes, as does that small candle. 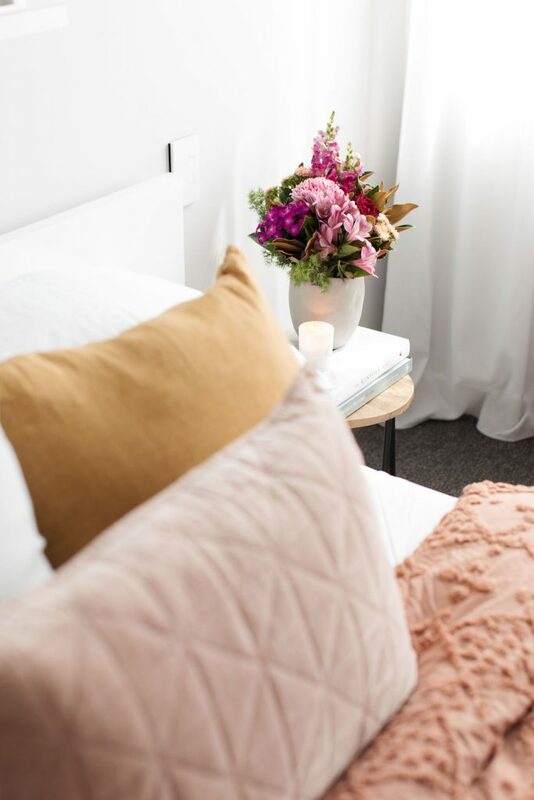 Both these looks used the same white bed from Freedom and bedside table from Provincial yet with the use of bedding, artwork and décor, I was able to create two very different looks. All of the items pictured are from Canberra Outlet, your destination for home furnishing needs. 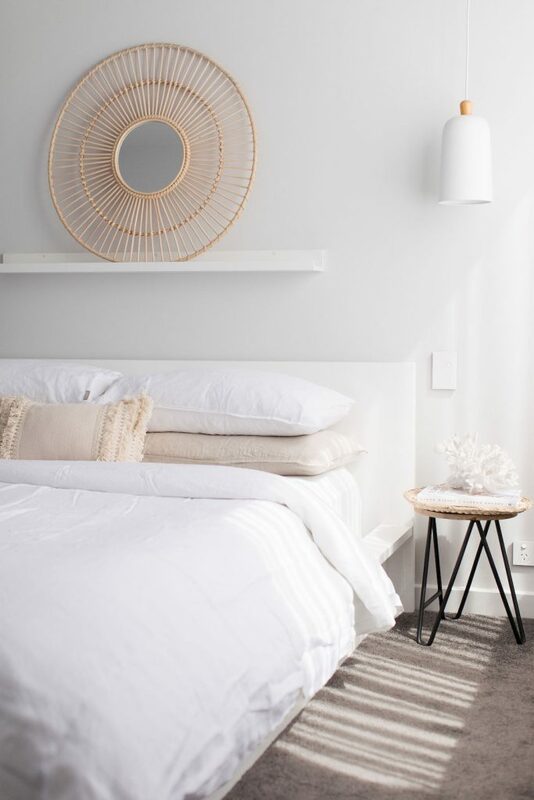 Have either of these bedroom styles inspired you to give your bedroom a mini makeover?